If you loved SweeTARTS candy as a kid, then you'll love these grown-up versions of sweet tart cocktails. Sweet enough for even the most dedicated sweet tooth, but with a tart tang that keeps it from being over the top, sweet tart cocktails have just enough pucker power to keep you coming back for more. This version of the sweet tart cocktail gets a zippy acidity from lime juice and sweetness from raspberry liqueur and amaretto liqueur. It has a wonderful sweet, tangy, fruity taste that exemplifies a sweet tart cocktail. It's also pretty boozy, so one cocktail goes a long way. Fill a highball glass half full with crushed ice. 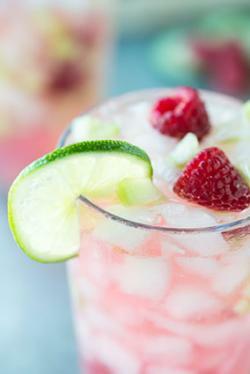 Add the vodka, raspberry liqueur, amaretto liqueur, and lime juice. Top up the glass with lemon-lime soda and stir. 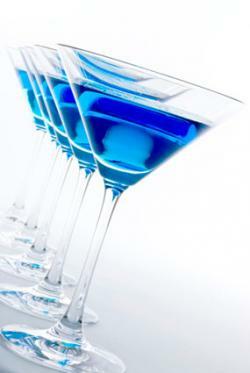 If blue sweet tarts were your thing, then this martini will hit your sweet (tart) spot. It uses Blue Curacao and amaretto for sweetness and lime juice for the tart flavor. Simple syrup adds additional sweetness. 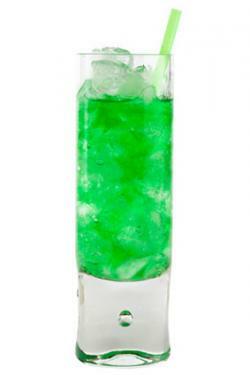 Combine all ingredients in a cocktail shaker except the twist of lime. The sweet in this drink comes from melon liqueur while the tart comes from tangy cranberry juice and sour mix. 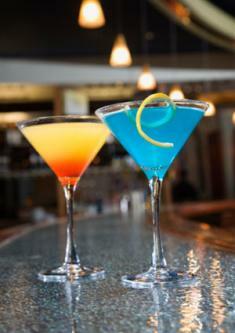 In a cocktail shaker, combine the raspberry liqueur, melon liqueur, orange liqueur, raspberry juice, and sour mix. Pour into the highball glass. While there was no apple flavored SweeTART candy, there should have been. 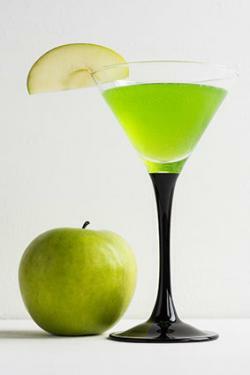 Apple is the perfect flavor for a sweet tart cocktail. The tart is brought by the sweet and sour mix and lemon juice. Fill a shaker full of crushed ice. Add the vodka, apple liqueur, sweet and sour mix, and lemon juice. Sweet and tart is a classic flavor combination that hits the spot with cocktails. Try the above beverages the next time you wish to experience a drink that makes you pucker while still tasting enticingly sweet.